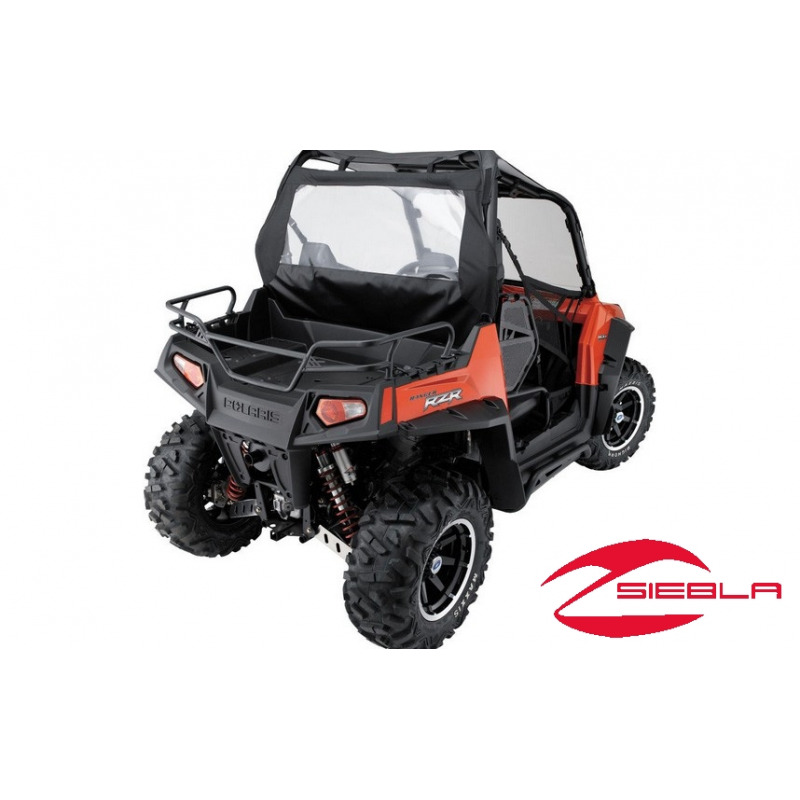 This Cloth Rear Panel is an economical way for a RZR driver to reduce dust swirl in the cab. 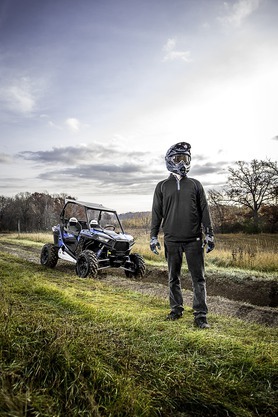 This Cloth Rear Panel is an economical way for a RZR driver to reduce dust swirl in the cab. This panel is made of 600 denier dyed polyester material and has a clear vinyl window. 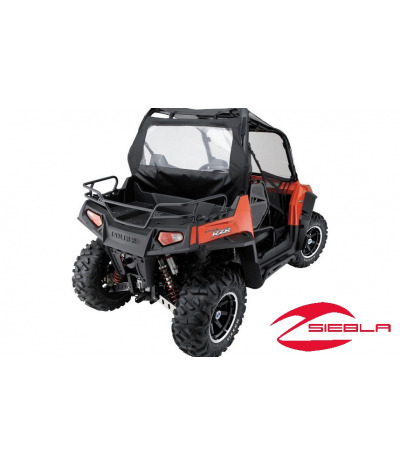 It can be rolled up and down to suit varied riding situations, and it fits with the Sport Roof, Bimini Top and Soft Top (each sold separately). The rear panel attaches easily to the rear cab frame.